Eeep! Its.. a.. wall.. of.. ME! No Year-of-the-cat fanclub, please. I have enough crazies after me as is. ~hee~ sweet !! 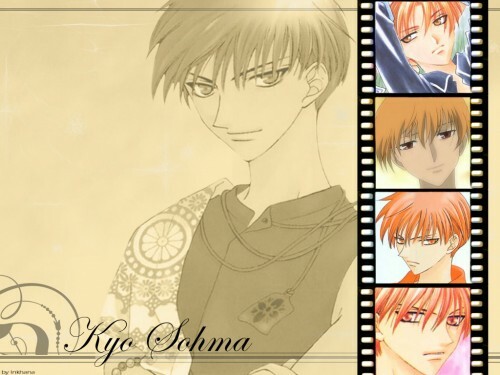 look at all the sweet faces of kyo ! ^_^' i love the font !! pretty. Quote by Kyo-SohmaEeep! Its.. a.. wall.. of.. ME! Kyo is my favorite character in Fruits Basket. You chose some really nice pictures here! I really like this one...is great! this is awesome! kyo is my fav <3 thanks a lot!